In 2015 potential real estate investors from overseas were largely pre-occupied with the war in eastern Ukraine and the ensuing financial crisis and falling hryvnia currency. 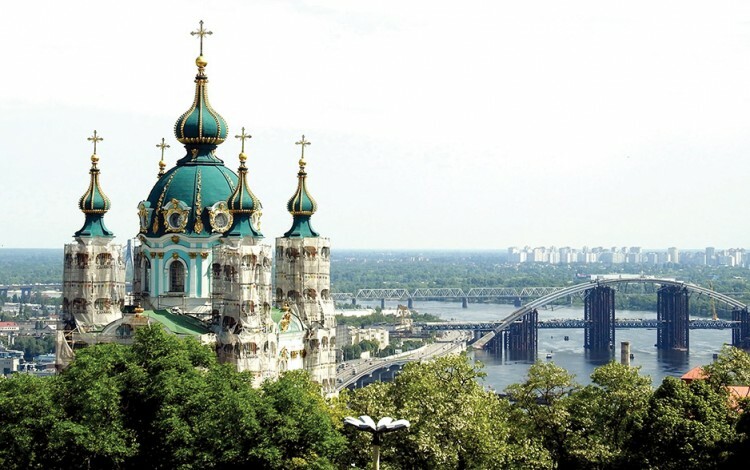 In 2016, the chief concerns of foreign investors on Kyiv’s property market often revolve around Ukraine’s hard currency controls and ways to bring money into and out of the country. The article explores basic approaches for non-residents towards paying taxes on their property in Ukraine, and looks forward to possible near-term changes to Ukraine’s currency control regime and other regulatory changes that would benefit real estate investors. This material is based on a series of discussions with Olexander Olshansky and Andriy Zhupanyn from the Kyiv law firm Sayenko Kharenko. 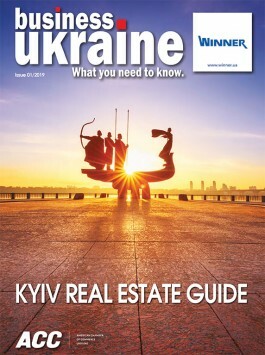 Readers should note that this article is not intended to replace qualified legal advice, but instead to introduce readers to general strategies and structures for solving common legal issues for foreign real estate investors in Ukraine. Currently there are four main strategies to legally bring hard currency into Ukraine in order to buy real estate. A buyer could open a Ukrainian limited liability company (LLC) with charter capital that is of equal value to the target property. Alternatively, you could open an LLC with a minimum charter capital and then subsequently extend a loan to this entity from abroad for the purchase of the target property. It should be kept in mind that loans received by residents from non-residents of Ukraine are subject to registration with the National Bank of Ukraine. The simplest way for a non-resident buyer to bring the necessary funds into the country is to wire the money to cover the sales price of a property directly from a foreign bank account to the bank account of the seller in Ukraine. A slightly more time-consuming way would be for a foreign buyer to transfer funds sufficient to purchase the property to an investment account at a bank in Ukraine for the subsequent purchase of a property by transferring the necessary amount to the seller’s account at a Ukrainian bank. Alternatively, if the seller of the property has a foreign bank account, then direct transfer payment between the foreign bank accounts of the buyer and the seller is permissible. However, such cases are beyond the scope of this article. Each of these methods has pluses and minuses. The benefits of establishing a Ukrainian LLC are numerous. It presents a variety of ways for divestment or withdrawal of income received in Ukraine (for example, payment of dividends, which in some cases can be carried out at low tax rates). It also allows for the possibility of selling the property by selling shares in the company. On the other hand, creating an LLC involves additional costs and takes some time. In addition, in order to manage the company, the non-resident founder must appoint a director who, among other things, will bear criminal liability for the company’s activities. Additionally, some methods for withdrawing income and divestment (for example, payment of dividends) are currently limited. The advantage of acquiring real estate in Ukraine by a direct transfer of funds from abroad is its simplicity, since only a signed contract of sale is required for this option. Opening an investment account is a somewhat more complex process which, among other things, requires the physical presence of the buyer (account holder) in Ukraine when the account is opened. Rental income on property owned by non-residents may be transferred out of Ukraine in a number of ways. This can be done via interest payments on the loan agreement under which a property was purchased. In this case, you need to take into account existing restrictions imposed by the National Bank of Ukraine on the maximum interest rate on loan agreements with non-residents. The maximum allowable fixed interest rate depends on the term of the loan and varies between 9.8% to 11% per annum. Rental income could theoretically be expatriated via dividend payments to the founder of the limited liability company which owns the real estate. However, the National Bank of Ukraine has currently banned the payment of dividends abroad. At the same time, this ban does not apply to dividends to foreign investors that were accrued for payment during the years 2014-2015, subject to fulfilling a number of National Bank of Ukraine requirements. Although future policy is currently unclear, the National Bank is expected to allow the payment of dividends for 2016 and subsequent years. Alternatively, a property owner can lease out a property with the assistance of a local agent (an individual private entrepreneur or legal entity in Ukraine). As an intermediary between the owner and the tenant, the agent has the ability to transfer the income received from the leased premises overseas to the foreign account of the property owner. If a property in Ukraine is purchased by a non-resident for subsequent lease, then this owner can only rent it out with the help of an agent. Recruiting an agent inevitably means taking the risk of becoming involved with unscrupulous intermediaries who may abuse their powers at the expense of the owner. Accordingly, special care should be taken to select the right agent. There are several ways for a non-resident to transfer funds received from the sale of a property in Ukraine. If you used an LLC to buy your property, you could then liquidate the LLC by selling the property, with the subsequent payment to the founder equal to the amount of their original charter capital contribution, and all funds remaining after the entity’s liquidation. Or, if a loan was extended through an LLC to buy the property, it can be sold to settle the debt under the terms of the initial loan agreement. A non-resident individual (as opposed to a legal entity) who owns real estate in Ukraine can only directly lease out his property when he obtains tax resident status in Ukraine. This status can be granted via several avenues such as employment in Ukraine or voluntary application. Without tax resident status in Ukraine, a non-resident individual may only lease out his property through an agent. In practice, when selecting an agent, it is often more profitable to attract individual private entrepreneurs using Ukraine’s simplified taxation regime, as opposed to legal entities. Keeping in mind the above warning (and expected temporary ban on dividend payments), payment of dividends to the founder of a limited liability company that owns a property and leases it out can be attractive when the founder is a legal resident of a country with which Ukraine has agreed to a reduced tax rate on the repatriation of dividends. For example, in accordance with the provisions of a bilateral agreement on the avoidance of double taxation between Ukraine and the Netherlands, Ukrainian companies may be exempt from withholding taxes on payment of dividends in Ukraine to their Dutch founders, provided that a number of requirements were met during their initial investment in Ukraine. The good news is that in the near future a decrease is widely expected in the amount of foreign currency that is subject to compulsory conversion into Ukrainian hryvnia upon its transfer to Ukraine. Today, this rule only applies to legal entities and individual entrepreneurs and provides for the mandatory sale of 65% of the incoming hard currency. In addition, simplifications to the rules governing the withdrawal of money from Ukraine through the payment of dividends to non-resident participants in LLCs (i.e., shareholders) are also under consideration. Moreover, a number of changes to Ukrainian legislation are expected that would simplify the procedure of payments between buyers and sellers of real estate through the use of escrow accounts. This change will greatly reduce counterparty risk for skeptical investors in Ukraine’s real estate market who are not ready to “go first” and transfer funds equal to the value of the property to sellers, who, in turn, are not ready to “go first” and re-register the ownership of the property in the buyer’s name. Using an escrow account, the seller will receive money only after the bank or escrow agent has received confirmation of the transfer of ownership. As of today, a draft bill that allows for the use of escrow accounts is pending review by the Ukrainian parliament for its second reading. The likelihood of its acceptance is quite high as it has broad business community support  - in part since it would legalize the use of derivative financial instruments in Ukraine. The legislation has won support as it was developed with the support of international financial organisations. The draft law calls for the provisions on escrow accounts to enter into force on 1 October 2016. However, this date should be expected to move further into the autumn season since Ukraine’s parliament will not vote on the draft until late September at the earliest. Nonetheless, favorable regulatory changes for real estate investors in Ukraine do seem to be close at hand, making it easier for foreign investors to transfer money into and out of the country.